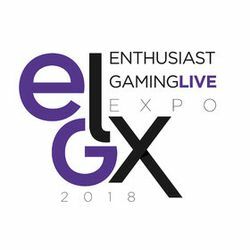 EGLX 2018 was a national tournament for Super Smash Bros. Melee and Super Smash Bros. for Wii U, featuring singles and doubles for both games. The Melee event notably showcased the prowess of Florida, as Hungrybox won the tournament without dropping a set, and all four winners' semifinalists hailed from the region. aMSa made another strong run through bracket, defeating Swedish Delight, Ice, Axe, Crush, and Mew2King on his way to a fourth place finish. During the Melee grand finals, the air in the venue was extremely cold; it was later announced that the venue doors had been mistakenly left open during the set, allowing the cold air to filter in. This page was last edited on April 17, 2018, at 18:48.